I walked a lot today. I love the feeling I get from long walks. And one really gets to know one’s backpack on multi-mile jaunts through a crowded city. I get to know it’s weight, its dimensions, and its stressors. Before the walk north to the new (to me) hostel, though, I spent three hours in the Rijksmuseum. It’s amazing. One of my favorites so far (for reference’s sake, my two tops are the Borghesi Gallery in Rome and the Art Institute of Chicago). Today’s was my second trip to the Rijksmuseum – my first was in July 2015. And again, my favorite place in the museum wasn’t the City Watch room or the Waterloo room, though those were neato, of course. My favorite rooms continue to be any rooms in which model ships are displayed. 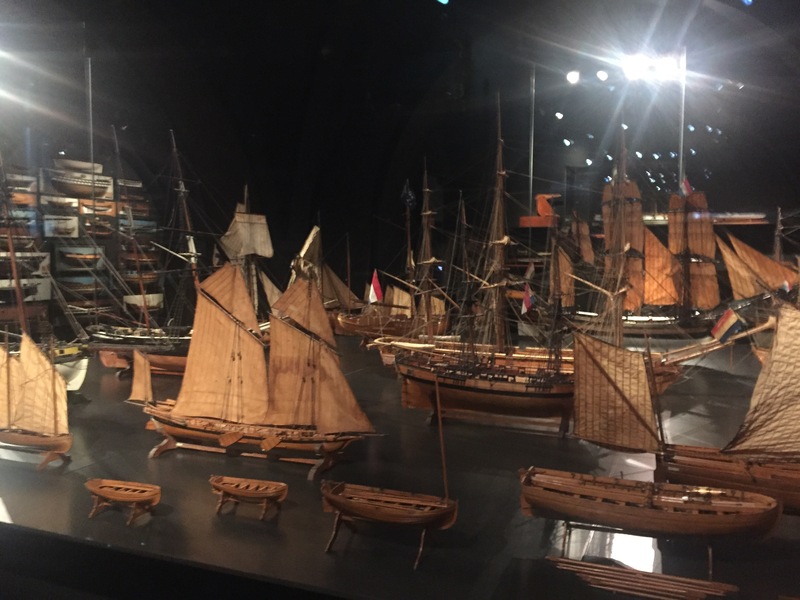 And there are several places in this Dutch museum featuring giant model ships quite prominently. Most impressively, on floor zero, is a giant display of what must be twenty or thirty of the things. I walked through town with my pack afterward, traipsing northward from the good end of town to the dodgy end. Many cities get iffier as one nears the central train station, and Amsterdam is no exception. 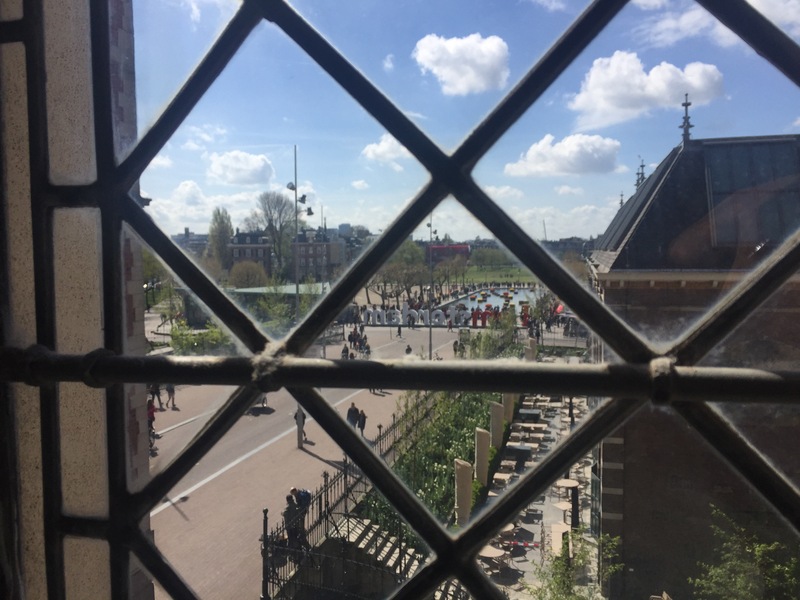 If you’re a nervous nelly, I’d advise sticking near to the central part of town rather than Centraal Station – and head down south, as well, between the center of town and the museums and parks outside the outermost ring of canals in the downtown area. Got it? Good. You’re not likely to be harmed or anything – it just looks a bit rougher. And it’s near the Red Light District and all that implies. Tomorrow, I’ll be headed to the New and Old Churches in the center of town. And I intend to eat some fries with mayo. I love having no real agenda. The only thing on my plate in stone (ish) this week is my date with the Van Gogh museum on Friday at dinner time. Cross your fingers for me. When I checked into the massive hostel at which I’m staying, I was the only one occupying my 4-bed dorm room. I’d love for that to remain, though I know the odds are very strongly against it. 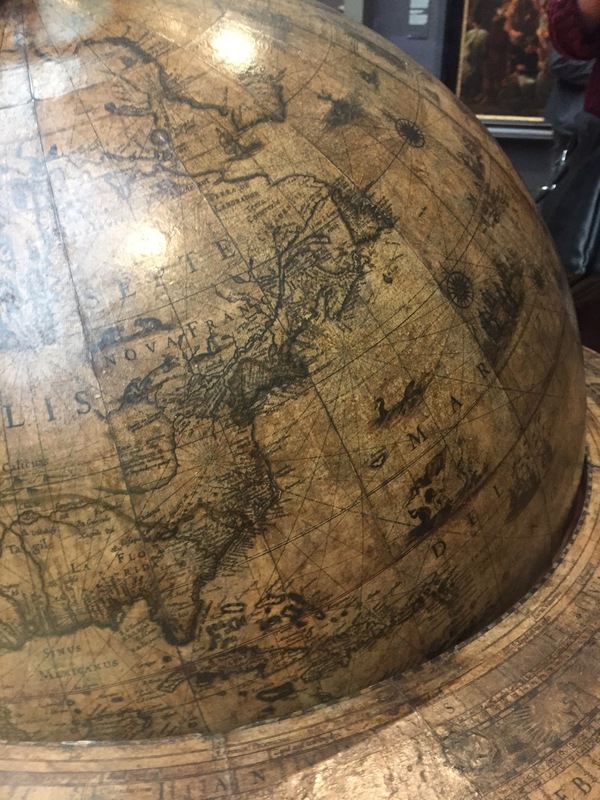 This entry was posted in Travelogue, Travelogue 2017, Travels and tagged Amsterdam, art, arts, artwork, hostels, model ships, Museums, Netherlands, rijksmuseum, ships, Slow Travel, travel, travels, walking tour, wandering. Bookmark the permalink.